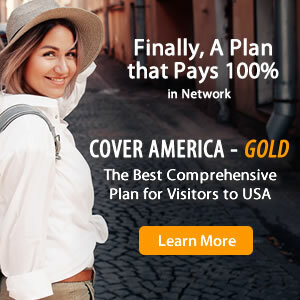 As you are comparing travel medical insurance plans, trying to decide which is most suitable for your individual needs, you may come across two plans that appear to be very similar: Safe Travels for Visitors to the USA and Inbound USA. While the two do have many similarities, they also differ in several ways and it is important to understand the differences in order to make an informed decision and select the plan that best fits your travel medical insurance needs. Limited coverage insurance plans may be less expensive, but come with higher liability risks. Since limited travel insurance policies only cover a fixed, pre-defined amount for each benefit, you pay for any costs that exceed the pre-defined amount for any given medical treatment or service, and those medical costs could potentially run up to thousands of dollars. Primary vs. Secondary Insurance: What's the Difference?